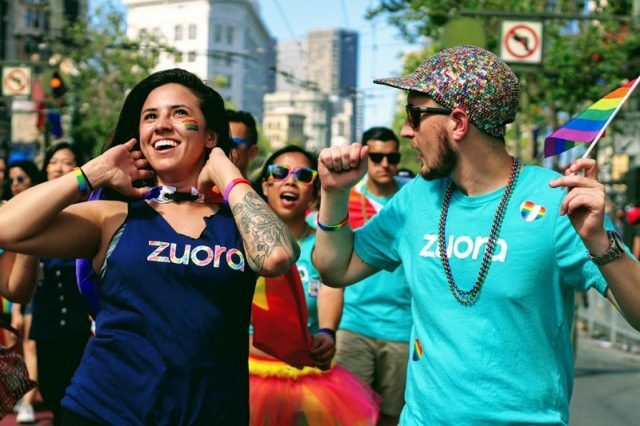 On June 24, 120+ ZEOs and their families and friends were proud to represent Zuora at the SF Pride parade. 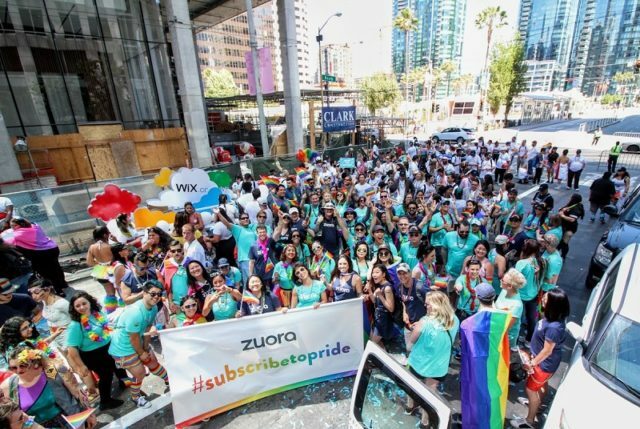 As a “parade contingent,” the extended Zuora community came together to take a united stance in support of Pride. Since its founding, Zuora has been a company that values different perspectives. Zuora is a place where everyone is encouraged to think, do, and be different. We call our employees ZEOs. The ZEO culture is built around the idea that every Zuora employee is empowered to be the CEO of their own career. The freedom for employees to be their authentic selves is a critical element of our ZEO culture. 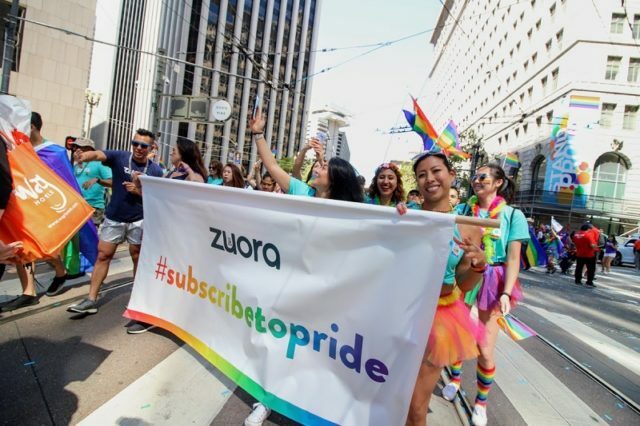 At Zuora we subscribe to diversity and we subscribe to pride…so much so that we created a hashtag and plastered our commitment all over our Pride banner and t-shirts: #subscribetopride. To subscribe means to accept, believe, endorse, support, and champion. 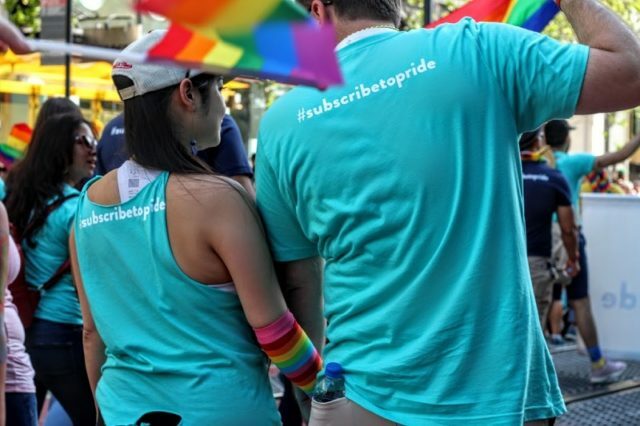 When we say we #subscribetopride, it means that we champion diversity of all types. At Zuora, ZEOs can be who they are. Unique perspective, experiences, and contributions are all welcomed and valued. These differences inspire and drive innovation. The result? A company of empowered and invested employees who bring out the best in one other. 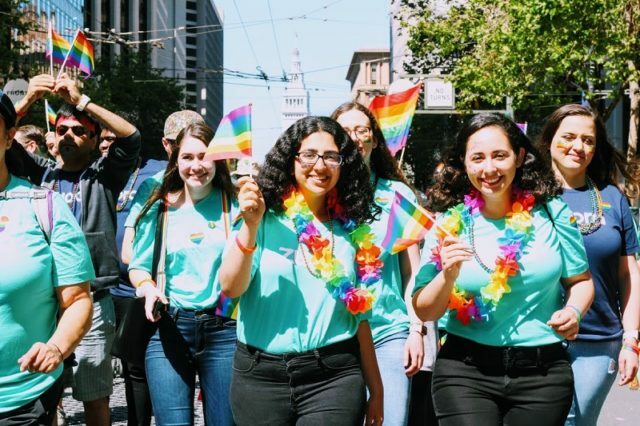 In addition to marching in the SF Pride parade, ZEOs across the globe participated in a number of other activities throughout June to support LGBT Pride Month and to celebrate the impact the LGBTQIA community has had in the world and at Zuora. Take a look at some of the photos from our colorful Pride parade. Interested in joining the team and being celebrated for who you are? Zuora is hiring! Check out our Careers page for all current job opportunities.